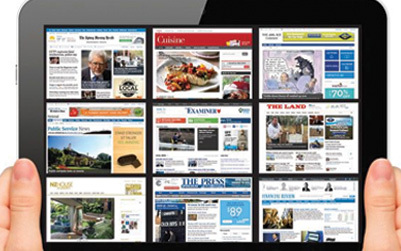 Fairfax Media CEO Greg Hywood discusses the new role of customers in the business of news. The thirst for news and information has never been stronger, with many consumers always on and accessible via pervasive Internet access and smart devices. It’s an exciting time for media companies to explore new ways to report and deliver content to their audiences. Yet it’s also a trying time in which previously steadfast business models must adapt to changing market dynamics. Digital disruption is here to stay. The old way of operating business isn’t sustainable for media companies: print revenue is in decline and readers scatter across platforms. Fairfax Media CEO Greg Hywood lives this firsthand, and is at the helm of a company redefining its place in the Australian media market. He sat down with Customer Strategist to discuss how Fairfax, which owns the Sydney Morning Herald and other newspapers, magazines, radio, and digital media properties in Australia and New Zealand, is organizing into a more customer-focused and efficient company. Customer Strategist: How would you describe the overall current state and future vision of Fairfax? 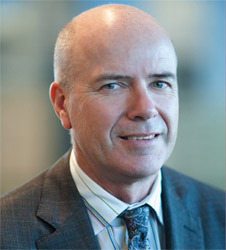 Greg Hywood: We are a traditional newspaper company. Our flagship Sydney Morning Herald started in 1832, and is one of the oldest continuously published newspapers in the world. We have strong brand value and we provide a service that’s in extraordinary demand. Our audiences have never been larger in our entire history. However, print newspaper circulation is falling, and actually has been since the 1950s. What’s changed is our commercial model. Up until the Internet, we had a monopoly of classified ad sales for homes, jobs, and other areas within Australia and New Zealand. Now, the market is fragmented. While online ad sales are good, the margins online are nothing like they were. Our job and passion as an organisation is to place hundreds of journalists into the field to find out what’s going on and bring news and context to the community. To enable that, our business needs to be as efficient as possible. We are restructuring into a hybrid with a 24/7 digital news business, and we are looking to drive revenue in different ways. In business terms, we are dismantling our traditional vertically integrated structure where we created and distributed the product ourselves. We now share services, and work with partners on non-core business operations. We have consolidated six publishing divisions into one, and are in the midst of top to bottom change. We’ve taken AUS $300 million out of our operating costs in the past three years, which has been really important for stabilizing our earnings. But you don’t cut yourself to glory. We’re now focusing on building new revenue streams with content and digital marketing services, events, and data programs. CS: What role does customer experience play in the future vision? GH: Customer experience is something that traditional monopoly media companies need to learn about. Before, there were no other options if you wanted to learn about what was happening in your community. The customer came to us. Now, the environment is vastly more competitive. Customer experience plays a central role in the organisation. And delivering an improved customer experience requires both operational and cultural change. CS: What are some examples of such change? GH: In the past our advertising customers were often managed through outside media agencies, and we had no direct relationship. Now instead of a blind transaction, we want a relationship with them. We have shifted the conversation to be solutions-oriented: “what can we do for you, what types of advertising programs can we build for you?” We now offer a range of 360-degree marketing services. One liquor client now works with us on print ads, content marketing, and sells wine directly from our food and wine site. It’s a far richer relationship. For readers, we are rethinking our customer service processes and other services to engage with subscribers better. We want to be more efficient with a range of options across platforms, and we want to build on the trusted relationship we have with readers. For example, we had more than 30 disparate call centres in Australia and New Zealand, and 50 points of interaction at various levels. It was a disjointed and inconsistent customer experience. We partnered with TeleTech to consolidate everything into two centralised contact centres, one for inbound and one for outbound. It was an enormous change, and has given us the ability to improve and change how we approach the customer experience. This shift wasn’t perfect overnight, but we’re making progress to improve how we engage with customers. We need to keep our promises around quality. There is absolutely no doubt that the value of a trusted brand is enormously powerful. That high quality gives you freedom to try new things. Fairfax’s trusted reputation [with customers] is an enormous advantage as we branch into new arenas. CS: Your company manages “push” products in an increasingly “pull” society. One way to balance the two is to learn more about and interact with individual consumers. What is Fairfax doing to leverage valuable customer data? GH: There is no one benchmark in the media industry. All companies look at each other and cherry pick from each other. We have strong relationships with the New York Times, especially in digital products, and with Hearst Media in the U.S., as well as with Johnston Press in the U.K. But you also have to create your own best practices. We’re very proud of what we’ve accomplished, particularly around our editorial structure and our consolidation to drive costs down. For example, we bucked conventional wisdom and deliberately reduced our print circulation by 30 percent and increased the newsstand price by 50 percent. We didn’t want to virtually give away papers anymore. We decided to focus on reaching people who would buy it and read it. We changed our metrics priority from circulation to readership. The move had a $100 million positive impact on the bottom line. CS: What advice do you have for other senior leaders working to manage their business in the midst of disruption? GH: Go early, and go hard. The thing about disruption is that you can actually see it coming. Just because it’s happening slowly at first doesn’t mean it won’t change everything. If you don’t build your business to expect that, you’ll be in a lot of trouble.